According to world renowned earth scientists and viticulturalists the most significant studies conducted on a vineyard or any agricultural property. More than forty years ago, Gary and Marian Conway purchased a 19th Century homesteaded ranch west of Paso Robles and six miles from the seacoast art colony of Cambria, within the headlands of stunning Big Sur country. Gary first beheld the idyllic beauty of this mountain valley aboard a helicopter moments before it crashed. Emerging from the wreckage, Gary dusted himself off and promptly announced to the still stunned real estate broker, "I'm going to buy this place!" 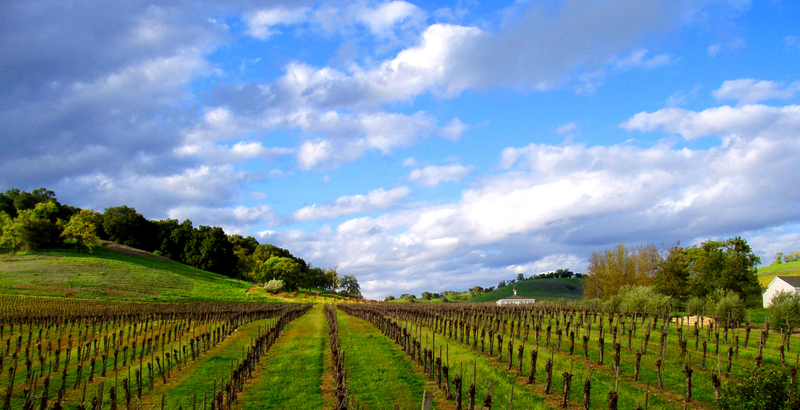 Indeed, in the ensuing years… this pristine land, now known to lie prominently in the Premium Wine Growing Area of the United States if not the world, has evolved into a legendary vineyard. Legendary is an understatement as the land was tectonically formed 26-million years ago by three volcanoes emerging in lava fire from out of an inland sea. From this ultimate power we now find super soils and wonder soils seen nowhere else on the planet. The volcano trio, amazingly, exists within the 160-acre property lines, and the natural grapes actually grow in the magma! Shades of Shangri-La! And now, Carmody McKnight Estate Vineyards dominates the future of wine as it epitomizes the “Natural Wine” movement with estate wines that cannot be duplicated on any viticultural or oenological level ~ unmanipulated winemaking created from one of the few vineyards in the world that possesses natural, own-rooted grape vines that are not genetically mutated grafted hybrids. Carmody McKnight remained steadfast over the decades, never adding one single chemical to its estate wines... and no artificial flavor and color. None! We are almost alone in that essential responsibility. We believe in nature's food. Not food and wine derived from chemistry labs, often putting our health at risk and certainly compromising our enjoyment of real food and wine.